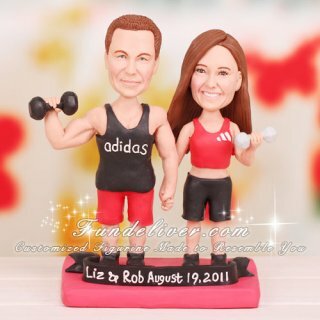 This is a completely customized weight lifting theme wedding cake topper ordered by one of our customers. They would like groom to be wearing red shorts and black T shirt with Adidas across, bride in black shorts and red tank top with Adidas emblem on. For the pose, they would like groom and bride figurine to be holding hands in the middle, groom to be holding dumbbell in opposite hand doing a shoulder press with the dumbbell, bride to be holding a dumbbell and doing bicep curl with opposite hand. Love weight lifting? 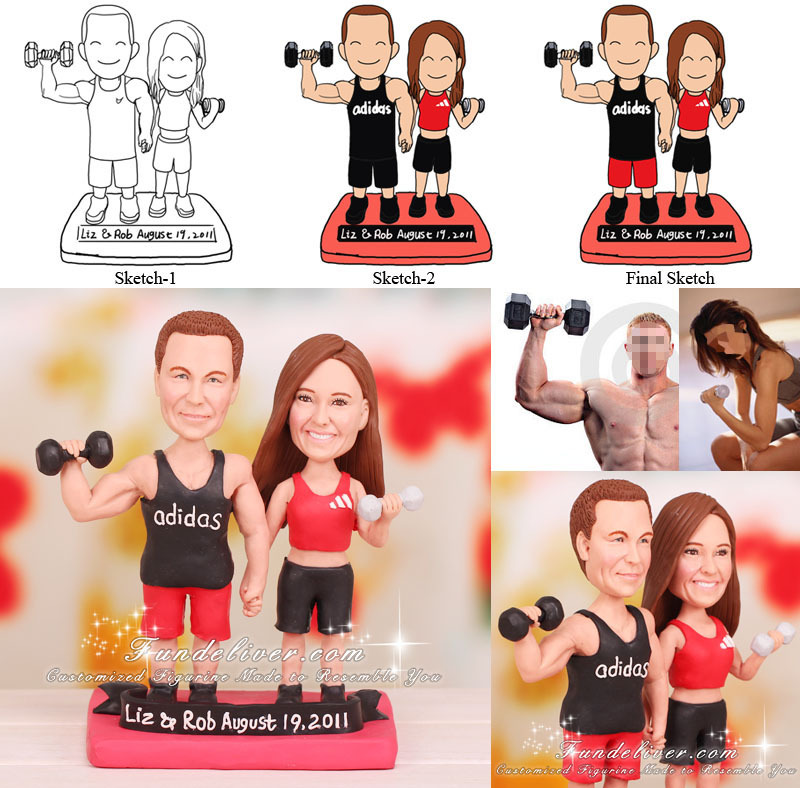 No need to "weight around" to find a great personalized weight lifting cake topper, simply send us your idea and reference images, we will work with you together to make your weightlifter wedding cake topper perfect.